Since it’s Summertime, we get an abundance of tourists and travelers in the General Store. It’s a real pleasure to learn where everyone’s from and many times they share with us what they’ve been doing. A few musings of the summer about connections and what some have shared……. A recently retired police officer who policed the tough neighborhood of the south-side of Chicago just moved to our area of the Ozarks….for clean country air, lower taxes, lower cost living, and good friends. A woman who hadn’t been to Steelville in many years but remembered as a little girl her grandpa taking her to the local Western Auto and buying her a toy. Her memory was foggy on the location of the store on Main Street, but one of our local residents who was sitting around the checkers table was delighted to talk with her. It turns out he knew her grandfather well. A young 11-year old girl came in the store this past week by herself while I was on the store floor working on inventory. Within two minutes of speaking with her she told me her mother had just recently died – a drug-related incident. I completely stopped what I was doing and gave her my full attention. It didn’t matter about my long To Do List, what mattered most was talking with a girl who clearly wanted and needed to talk. We spoke for 30 minutes about her mother, her family, school, clothes, boys, and girls sports. I hoped I helped her a little bit. She sure helped me that day. She asked me how old I am and when I told her, she said, “Wow. You sure don’t look that old. I thought you were 30.” I’m way older than that! Now on to the Stuff….. 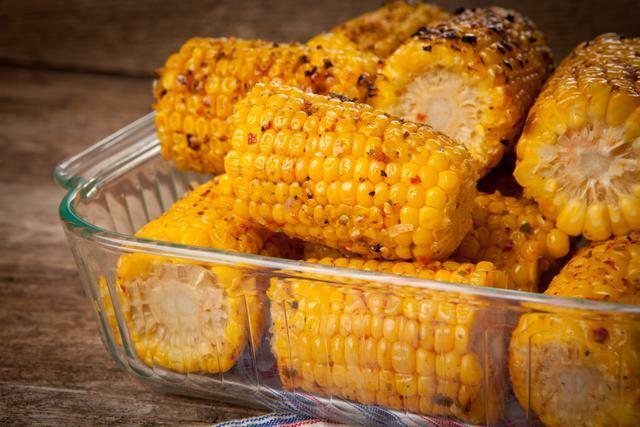 Sometimes we get tired of the same old side dishes for dinner...Here's an idea - Roasted Red Pepper Corn on the Cob! 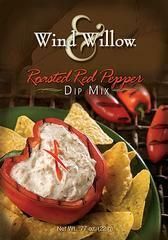 Combine our Wind & Willow Roasted Red Pepper Dip Mix with oil. Place corn on grill over medium heat. Brush with mixture while corn is cooking, occasionally turning to cook all sides. Grill until corn is tender and begins to slightly char. A beautiful floral print in large scale appears hand drawn on Josephine Black Quilt. Perfect for your vintage country cottage or home decor, it features on-point double rail road quilting with scalloped edge and binding, reversing to a vintage ticking stripe matching the back of the bedding accessories. As usual there are plenty of options for fun in Steelville. Pure Prairie League’s Craig Fuller will be at The Soda Fountain with an acoustic show. The Jim Brady Trio is at the Meramec Music Theatre and the first-ever Midwest Rock Fest is at Huzzah Valley Resort on Labor Day weekend. See the Calendar for more activities and music shows. The upcoming Fall season is just packed with things to do.